IU South Bend’s Greenlawn Hall got a new coat of paint recently, even though it’s expected to be torn down within the next two years. “Greenlawn is being repainted because it is going to be utilized for another 18 months and was in need of a little T.L.C.,” said Andrew Krouse, assistant director of facilities management. Though the new paint is a renovation for the building, students shouldn’t expect much else to change in Greenlawn. “A freshening [of Greenlawn] was requested. We are doing as little work in there as possible,” said Michael Prater, director of facilities. Krouse noted that the plans to tear down the building have not changed, and that there are no plans to renovate the building any further. “The proposed date of tear down is determined by a lot of different factors,” Krouse said, though both Krouse and Prater noted that the building is expected to be torn down in 18 months. The education classes and the Education Resource Center in Greenlawn will both be moved to IUSB’s new Arts and Education building, which is set to open to students on April 17. After the classes have moved, Greenlawn may become a temporary home for Student Services while that section of the Administration Building is undergoing its own renovations. 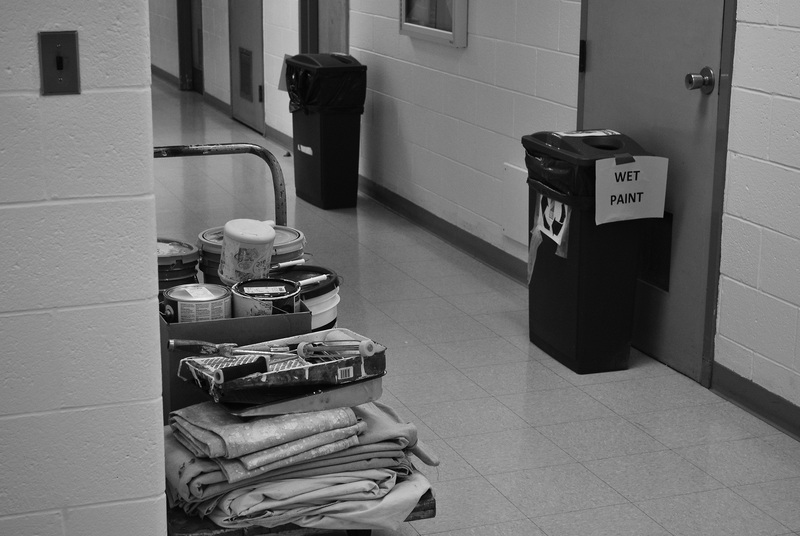 The painting began after IUSB’s spring break. This date was chosen instead of during spring break because of scheduling conflicts and a lack of available resources, according to Krouse. Interviewed students’ opinions on the repainting were mixed, but generally in favor of the renovations. More information on the status of Greenlawn and all of IUSB’s buildings can be found by contacting facilities management through their website at iusb.edu/facilities.